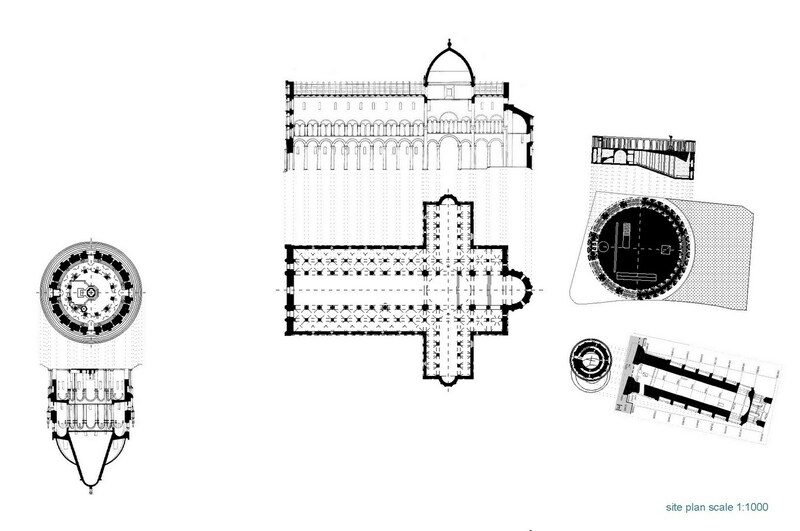 ‘Piazza dei Miracoli’, as is known the place around the Duomo di Pisa, is one of the most often described as the ‘perfect architectural harmony’ places and the addition of any new volume in this context would be extremely difficult. 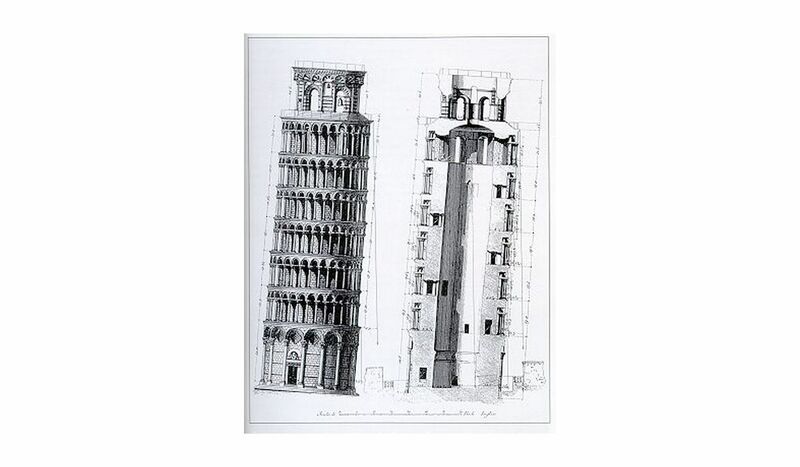 The balanced composition of Torre (campanile) di Pisa, Duomo and Battistero di San Giovanni, as well as Camposanto Monumentale, is a complete city-planning ensemble of buildings made through stylistically different centuries but combined with its lush decoration. 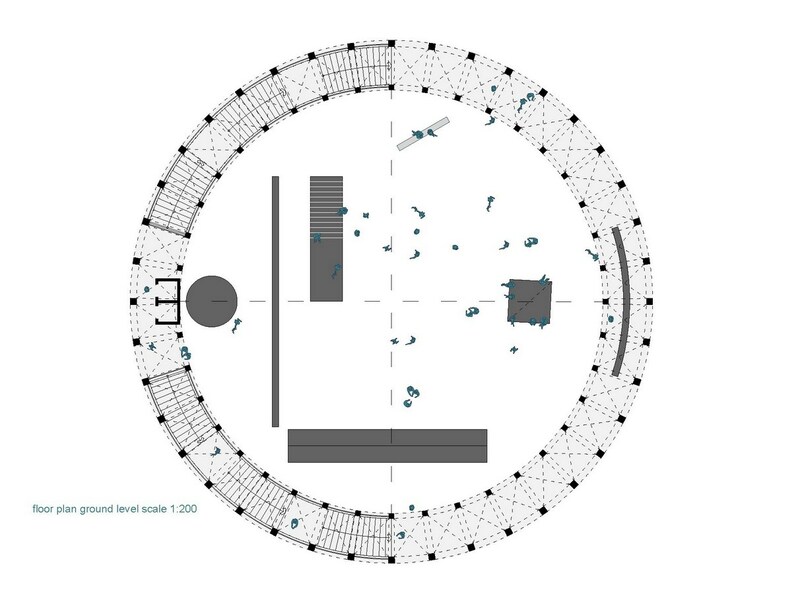 In this regard, we sought to place the future Congress center as invisible as possible – namely underground, thus without imposing the architectural requirements for its functional height, opposing it to other buildings in the ensemble. 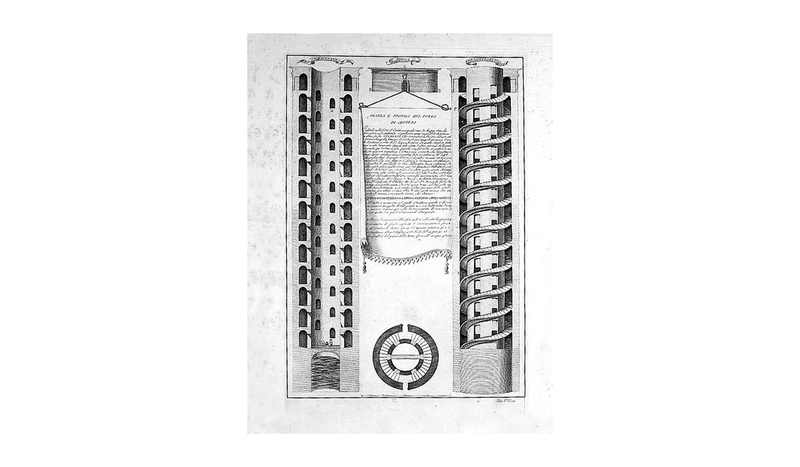 Functionally the building is situated on two levels – a ground level of 4.5 m height, consisting of a fully open colonnade in a minimalistic contemporary language, which accommodates two symmetrically located large staircases (plus elevators between them for people with disabilities). On this level is placed also a bar/café located on the eastern part. It lies beneath the colonnade, fully open for passage and does not interrupt the view at/along/to the other historical buildings. 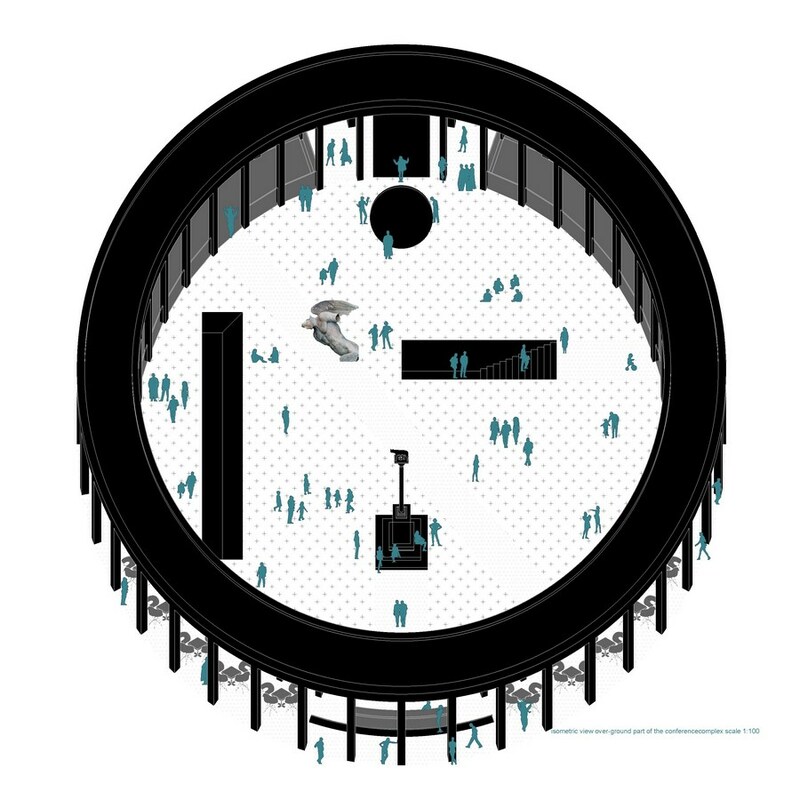 The inner part of this circle in plan contains a green area, where the column with the Capitoline wolf is located in its original position. The additional narrow slits and a small staircase in the middle allow the light/view to penetrate and thus reach the underground level. Going down on the underground level, the visitors can find themselves in a large foyer/hall (200 m2) that will hold any open exhibition without the need to enter the conference complex before. Entering the lobby of the hall, immediately in front it can be found ticket/registration desk and wardrobe, as well as a connection with sanitary facilities and office/auxiliary/backstage spaces (150 m2 in total) that are symmetrically located in the northern and southern underground parts of the complex. 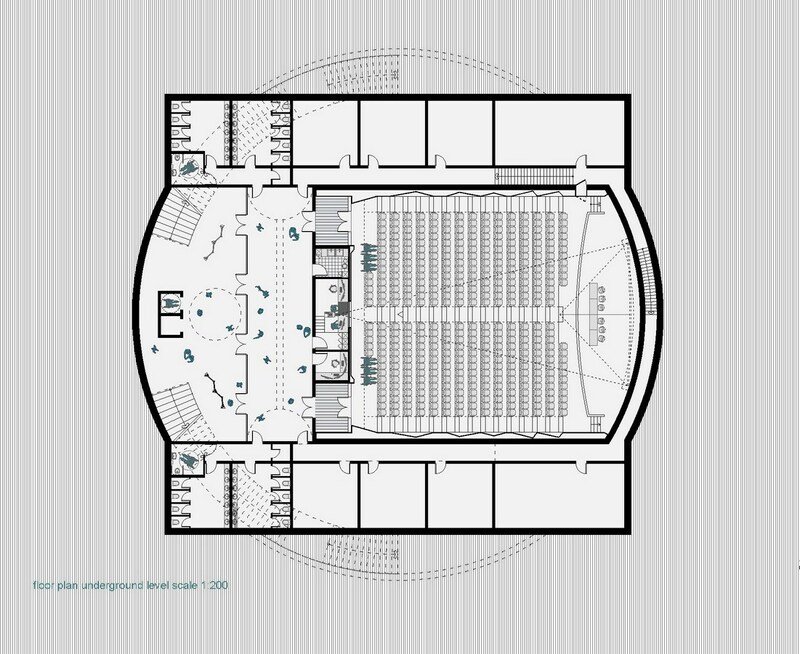 From the antechamber of 100 m2 there is an opportunity to enter an amphitheatrically located hall (500 m2) with over 400 visitor places and a small stage with connection to the auxiliary rooms or to a passage behind the stage itself. 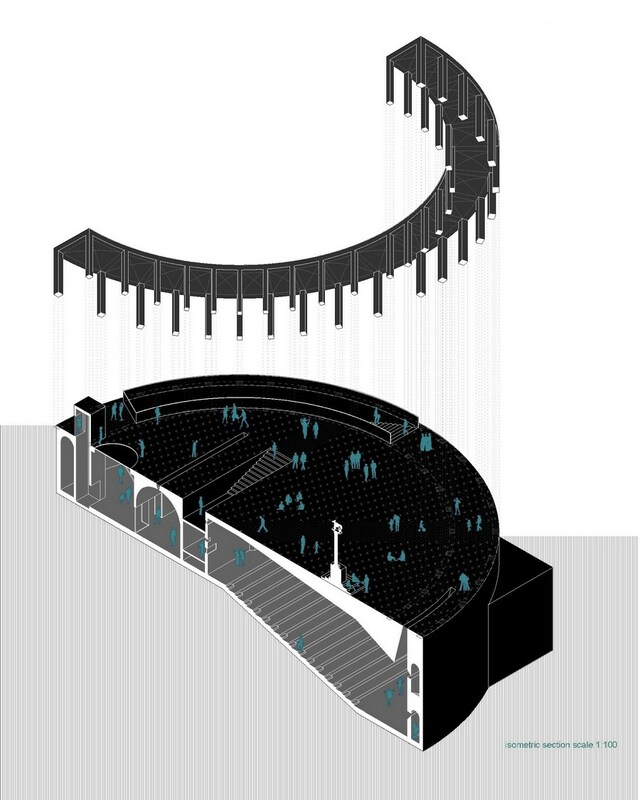 There are designed a number of top lights, which are slits in the ceiling of the conference hall above the stage, as well as in the ceiling above the lobby. The overall architectural vision of the building tries not to impose itself into the context, but to express itself only as a discrete minimalist white colonnade above the terrain. 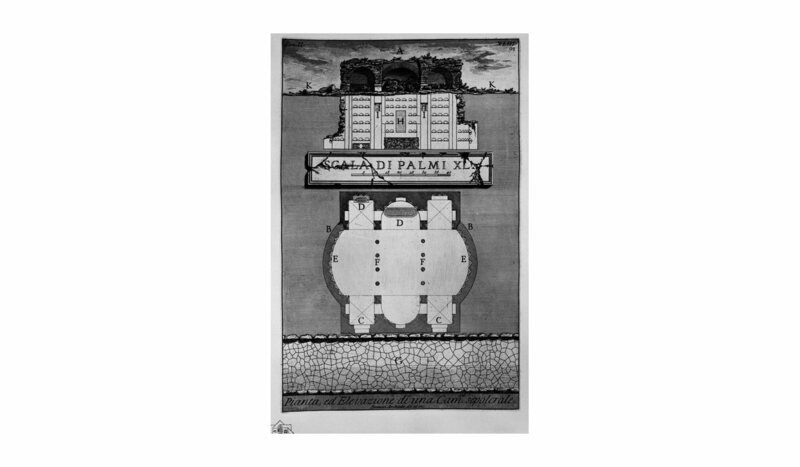 In plan, as well as in presentation, we try to achieve the purity of post-digital and post-modern architectural expression with borrowings from ancient architecture and references to Giovanni Battista Piranesi (Pianta, ed Elevazione di una Camera sepolcrale). 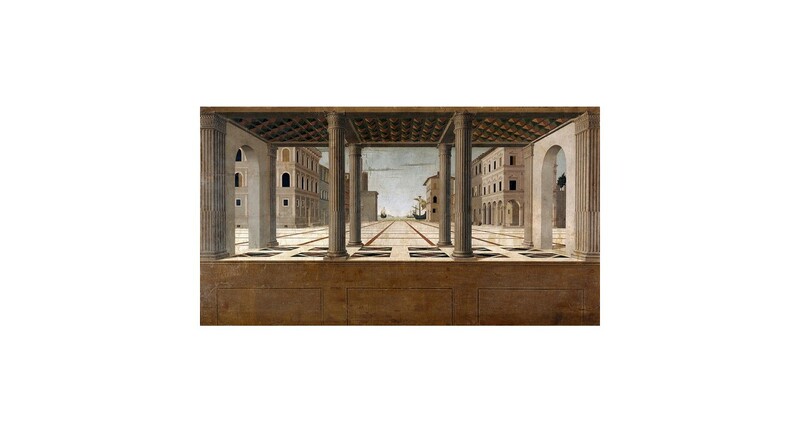 Regarding a possible vision of the colonnade of the future Conference Center in the (ideal) city of Pisa we could use as a reference picture ‘La terza Veduta di città ideale’ (circa 1477, Berlin) where the original Renaissance colonnade is replaced by a contemporary one and from it the focus can go to the (utopian) ideal renaissance town.